Gym equipment can be confusing. We see it all the time. 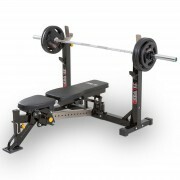 A customer comes into the shop looking for something they believe is a relatively simple choice, like a bench press, then they are confronted with several choices. Each option will have it’s pros and cons relative to each other. Their heads sta..
What does Smith Cable Rack and MMA have in common? You can’t be lacking strength, agility or versatility if you want to be the best. 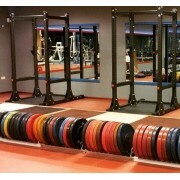 The Barbarian Line Smith Cable Rack is like a super heavyweight in the current multi gym market. 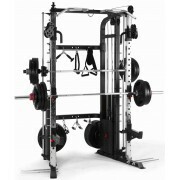 It has a commercial quality smith machine, half rack, functional .. 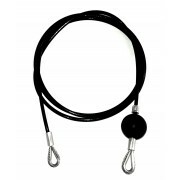 The new ATX Blackline Cable Attachments have been a real eye opener for not just our customers but also myself. Being a simple man with simple tastes, I go for the basic things in life. As long it functions right and is durable it gets a green light. To put it in perspective one of my favourite cars..
Introduction If you are currently researching a gym equipment purchase, you are probably reading a lot of recommendations for power racks, especially on forums. And for good reason. 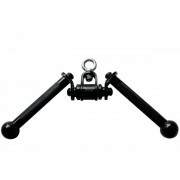 In terms of functionality, safety and effectiveness – probably the most important factors in any fitness equipment pu..